Thumpety thump, thump, thumpety thump, thump, look at Frosty go! 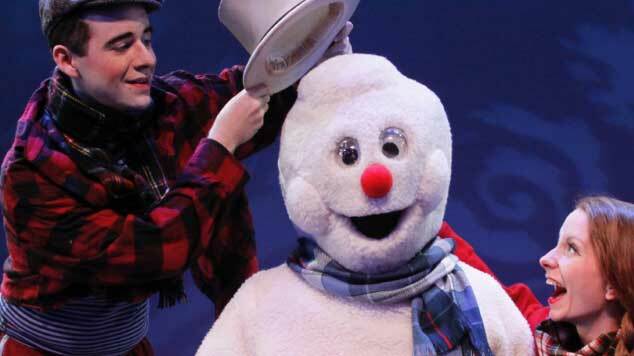 Frosty the Snowman is a jolly, happy soul made of snow and an old magician’s hat that brings him to life, on stage! Frosty and his friends have great fun until they realize Frosty is threatened by the warm sun. The excitement builds as they head to the North Pole in search of the cold, in an adventure full of laughter, frolics and mischief! But the fun really begins when they meet Santa Claus and discover that the wicked magician is secretly following them! Find out what happens in one of their most popular Christmas shows ever, full of laughter, fun and audience participation. It’s sure to put a smile on your face and melt your heart! The children will LOVE it!